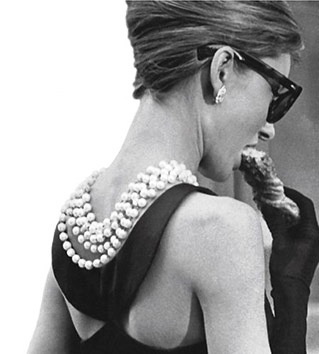 Extravagance is abundant at the Scottsdale League for the Arts’ Wine Country Brunch: Breakfast at Tiffany’s. Scheduled for Sunday, September 25, 2016 at The Camby, the afternoon affair will celebrate food and fundraising from11 a.m. – 2 p.m. The event will begin with a champagne brunch, mimosa bar and exquisite wines paired with culinary creations from The Camby kitchen as well as Arcadia Farms and The Herb Box. For a bit of fun, guests can take pictures with an Audrey Hepburn lookalike at the snap a pic photo booth and enjoy games as the classic movie “Breakfast at Tiffany’s” plays in the background. There will also be a wine pull and silent auction packed with amazing gifts from local restaurants and retailers. We are excited to have one of our community favorite events; the Wine Country Brunch as a featured event this fall. It is a great way to mingle with friends and enjoy an amazing brunch, all while benefitting charity!” said Dan Bowman, Scottsdale League for the Arts. General admission is $75 and group pricing for a table of 10 is $650. Admission includes unlimited food, drink samples and activities throughout the event. For more information and to purchase tickets online, visit www.scottsdalefest.org/2016wcb.